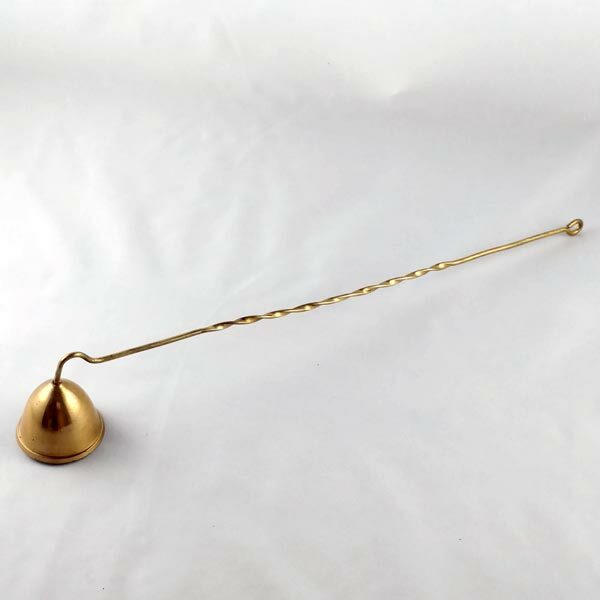 With a brass bell affixed to its tip, the handle of this brass candle snuffer has been twisted into a spiral pattern making it comfortable to hold. Length: 10-1/2". Snuffer bell: 1-3/8" diameter and 1" tall.